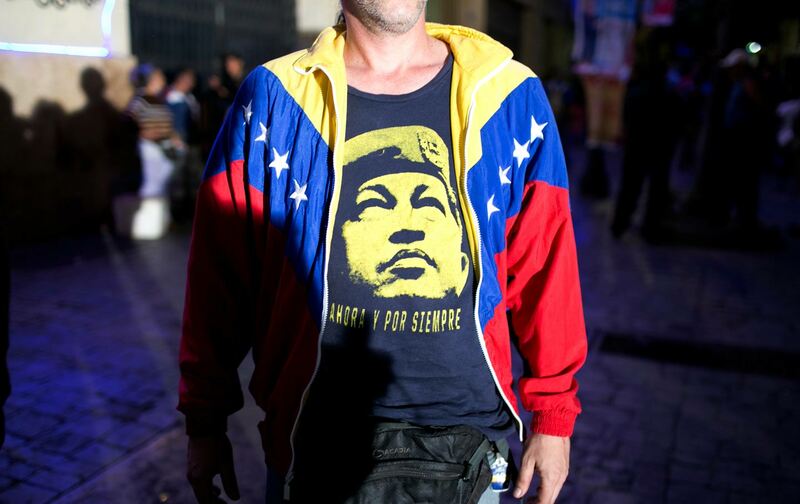 Even Chavistas are fed up with the economic crisis and want change. But unlike the right, grassroots leaders are calling for more popular control and collective decision-making. The difficulties Machado and millions of Venezuelans face making ends meet are due to a severe economic crisis brought about by low oil prices (oil revenues account for 96 percent of Venezuela’s export earnings and 40–45 percent of the federal budget), the government’s poor management of its currency exchange rate, and, if the government is to be believed, an “economic war” waged by businesses and the opposition. The IMF estimates that Venezuela’s economy will contract 10 percent this year and that inflation will reach almost 200 percent. Poverty and unemployment have been rising. There are widespread shortages of innumerable goods, from coffee, eggs, and toilet paper to auto parts, cement, and industrial inputs. And there are the vexing, ubiquitous lines, which can last for five hours or more, for everything from withdrawing money from the bank to catching a bus to buying food staples and basic consumer goods at regulated prices. Machado and others who predicted a government victory have of course been proven wrong. 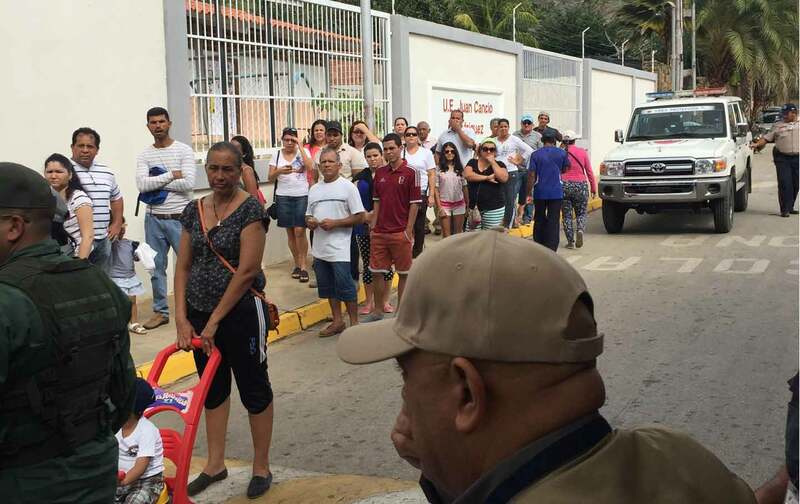 The opposition’s victory is due, in part, to strong turnout in affluent districts, such as the municipalities of Chacao, Baruta, and El Hatillo. Yet the opposition vote in these districts was nearly identical to what it was in the 2010 National Assembly election, while there was a large increase in turnout nationwide, from 66 percent in 2010 to 74 percent in 2015 (the highest turnout for a purely parliamentary election in Venezuelan history). It is thus clear that the MUD’s overwhelming victory was due to widespread support among popular sectors that have traditionally favored Chavismo. The MUD won 18 of 24 states, including Hugo Chávez’s home state of Barinas and erstwhile Chavista strongholds in Caracas such as 23 de Enero, Catia, and Caucaguita, a very poor district that abuts Petare, one of the largest barrios in Latin America. The opposition’s support from the popular sectors and margin of victory distinguishes this election from the 2007 constitutional reform referendum, the only other of the 20 elections held since 1998 that Chavismo has lost; the 2007 loss was by a razor-thin margin, with marked abstention in Chavista districts. In the popular-sector voting centers I visited I encountered numerous people planning to vote for the opposition. In one barrio in the city of Porlamar (which CNE officials said was known for crime and the “hot tempers” of the people), only two of the 18 people I spoke with planned to vote for the PSUV. None of the voters supporting the opposition mentioned liberty or democracy as a reason for doing so. All of them said they were supporting the opposition because of the material difficulties they faced. “I want change,” a woman told me. Pointing to the baby she was holding she said, “I can’t buy formula, and my father, who is 60 years old, had to go to another country for medical treatment” because the medicine he needed was unavailable in Venezuela. Over and over I was told of people’s frustrations with long lines and shortages of food and basic goods. Another young woman holding a baby said, “I get up at 4 am to stand in line and I can’t even buy food. I want change.” As she said this, the women standing next to her nodded their heads vigorously. 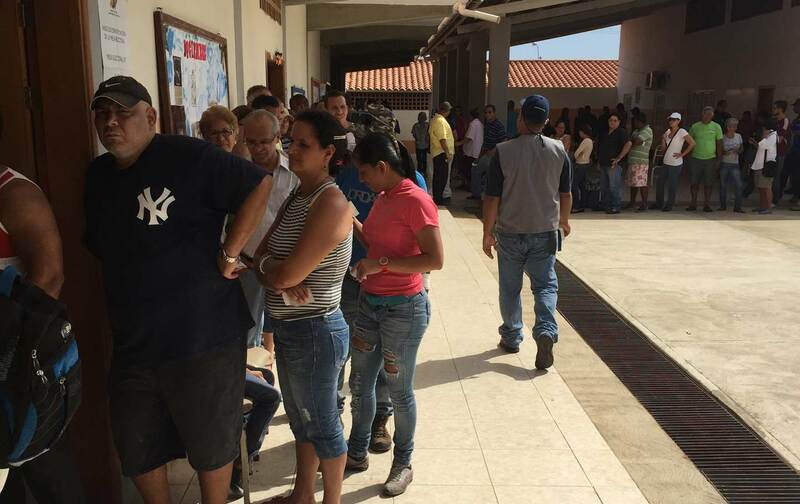 Opposition leaders have also expressed a desire to roll back social measures, by, for example, overturning the Law of Just Prices, which, however ineffectual in practice (due to bachaquerismo), has allowed the poor access to food staples and basic goods at very low prices. The radical right, which led the violent 2014 protests, have already indicated that they will seek to quickly remove Maduro from office, most likely through a recall referendum. This will lead to increased polarization and waves of mobilization and counter-mobilization. And it will likely make it harder for either the government or less-radical opposition to fix the economy. The MUD, a fractious and unwieldy coalition that includes everyone from leftist ex-guerrillas to far-right proto-fascists, may not be able to retain its two-thirds super-majority. The government will almost surely try to peel off any legislators it can, either by offering ministerial appointments or through other means (including negotiations or bribery). There may, however, be movement in both directions, with less-radical PSUV members jumping ship to join the opposition. In his speech Sunday night accepting defeat, Maduro indicated a need for the government and revolutionary forces to engage in a period of reflection and reassessment. At the same time, he reiterated the view that the opposition is solely responsibility for the economic crisis. If Maduro is to have any hope of surviving an all-but-certain recall referendum, the government must accept much more responsibility and take steps to address it. This will not be easy, given the continuing slide in the price of oil, which has fallen from $108 a barrel in June 2014 to under $37 a barrel now. Maduro has discussed raising the price of domestic gasoline (which is so low that SUVs can be filled up for less than 5 bolivares, which amounts to pennies on the black market) on multiple occasions between 2013 and 2015. To date, however, he has not taken the steps to make this happen. The main reason for this is likely Maduro’s fear that doing so would lead to further price increases for many products. Maduro has also been unwilling to get the currency exchange rate under control. One reason may be that doing so is likely to engender resistance from corrupt elements inside and outside government who have profited immensely from the gap between the official rate and the black market rate. The gap means that individuals and enterprises provided dollars at the official rate (6.3-1) for the purpose of importing goods have a huge incentive to simply sell the dollars on the black market (where the rate was over 800-1 recently), providing them astounding profits of 12,500 percent and more. While the government needs new policies to overcome the crisis, it’s a mistake to think it can be done through purely technocratic means. Since it will encounter increasing resistance from the empowered opposition and privileged sectors, both in and out of government, Maduro needs both better policies and increased popular mobilization. Jiménez said, “We have a collective proposal, as the Red de Comuneros, to create a communal network for production, distribution, and consumption of food. And this would be under the control of the communes, not the state and not the private sector.” Jiménez said that this proposal could only work if there were high levels of popular participation and genuine popular control. This is necessary to avoid the corruption and bureaucracy that has engulfed other projects put forward by the government, such as communal council distribution of cell phones (which are increasingly expensive and hard to find in private and state-run stores). It is not clear whether Maduro or other government officials will heed the advice of grassroots leaders like Machado, Jiménez, and Murphy. In their different ways, those leaders stress the need for more participation and genuine popular control over decision-making as a way to overcome the bureaucratic hurdles that have engulfed the Bolivarian Revolution and made it harder to fix the economy. Maduro has talked of the need for reform and has summoned party and social-movement leaders and activists to a series of meetings that will be held in the coming weeks. Whether this will lead to a deepening of popular participation and mobilization, negotiation with the right, or more of the same remains to be seen. The popular slogan “Commune or Nothing,” which comes from one of Hugo Chávez’s final speeches, known as the Golpe de Timon, seems an increasingly apt way to characterize the choices facing Chavismo in this difficult and perilous moment.